What Happens To All Those Water Bottles? Having a reliably safe drinking water supply in your home or office shouldn’t be considered a luxury for the few who can afford it. 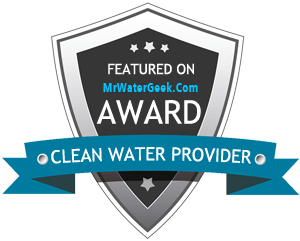 Many people have concerns about the quality and safety of their local tap water but feel that using a water delivery service is out of their budget. When water delivery to homes and offices was a new concept this may have been true, but today it is easy to find affordable water service, especially if you live along the Colorado Front Range. Clearly Colorado is passionate about providing homes and business owners with the purest water at the best price. Municipal or tap water may be free flowing from your tap but every day the health and safety concerns about what possibly harmful or unknown toxins, chemicals and contaminants make it past public filters grows. New studies, data and reports are so eyebrow raising that they have turned many families, as well as businesses, to purchasing filtered bottled water in bulk for their homes and offices. What most do not realize is that purchasing individually bottled water is throwing money away. Most of the price of each bottle is in the label and packaging. The higher the price does not mean the higher quality of water. When you calculate how much you’re already spending on single serving filtered or bottled water, then compare to the affordable water service rates from Clearly Colorado, it is easy to see the savings. Beyond keeping more of your hard earned money in your pocket the services they provide also save you time, stress and cut back dramatically on environmental waste. Less plastics to recycle or toss in a landfill. No more trips to the store for pallets of bottled water. No more need to strain yourself carrying and then storing said pallets. Best of all? Absolute peace of mind that your drinking water is pure and delicious. Staring to use an affordable water service in Colorado is simply a phone call away. Contact Clearly Colorado’s friendly staff for a free quote or free trial to start experiencing all the amazing benefits today. Their professional delivery staff is not paid commission, so there is no worry of receiving an over delivery of water. They will bring your supplies into your home or office on a reliable schedule tailored to your exact needs. No fuss, no stress, no back breaking labor - just deliciously pure drinking water for you, your family or your employees to enjoy!